Established August 17, 1759 by Order in Council, Annapolis County took its name from the town of Annapolis Royal which had been named in honour of Anne, Queen of Great Britain. It was near the previous site of Port Royal, the chief Acadian settlement in the area. The Acadians had been forcibly removed by British government officials in the 1755 Grand Dérangement. In 1817 the population of the county was 9,817, and that had grown to 14,661 by 1827. 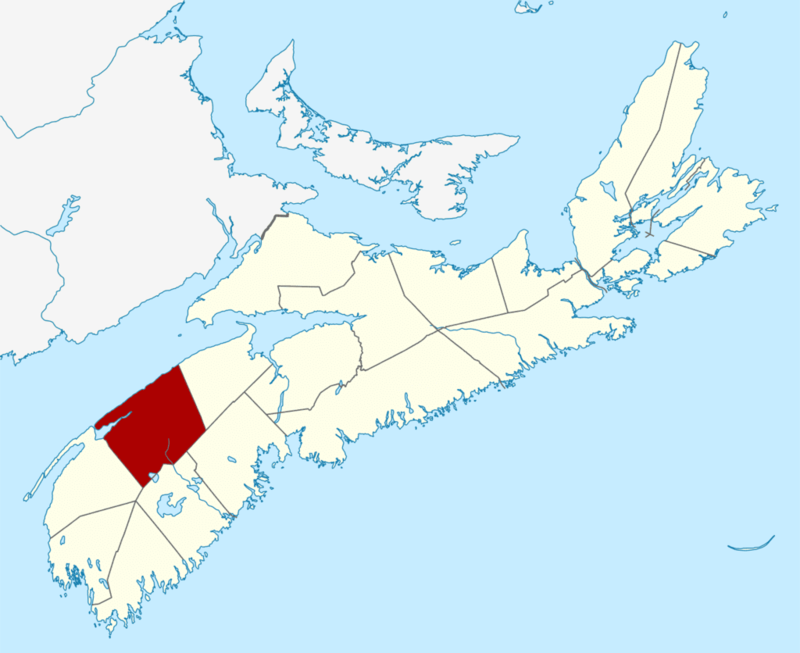 At that time, the county was divided into six townships: Annapolis, Granville, Wilmot, Clements, Digby and Clare. By 1833, a number of reasons had been advanced for making two counties out of Annapolis County. Two petitions were presented to the House of Assembly in that year requesting that the county be divided. However, it was not until 1837 that Annapolis County was divided into two distinct and separate counties - Annapolis and Digby.